The tomb of the ancient Roman hero believed to have inspired the Russell Crowe blockbuster "Gladiator," might be returned to oblivion four years after its discovery in Rome. A lack of fundings is forcing Italian archaeologists to bury again the large marble monument of Marcus Nonius Macrinus, a general and consul who achieved major victories in military campaigns for Antoninus Pius, the Roman emperor from 138 to 161 A.D., and Marcus Aurelius, emperor from 161 to 180 A.D. 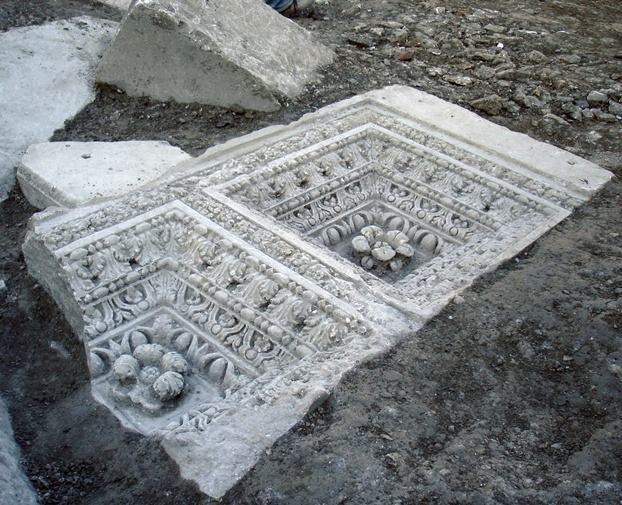 Unearthed in 2008 on the banks of the Tiber near the via Flaminia, north of Rome, the tomb, complete with the dedicatory inscription, was hailed as "the most important ancient Roman monument to come to light for 20 or 30 years." Marble columns, carvings and friezes belonging to the monumental tomb of Marcus Nonius Macrinus. Credit: Archivio fotografico Soprintendenza speciale beni archeologici di Roma. Although the tomb collapsed in antiquity because of floods, its marble columns, carvings and friezes remained perfectly preserved, sealed by the Tiber's mud. 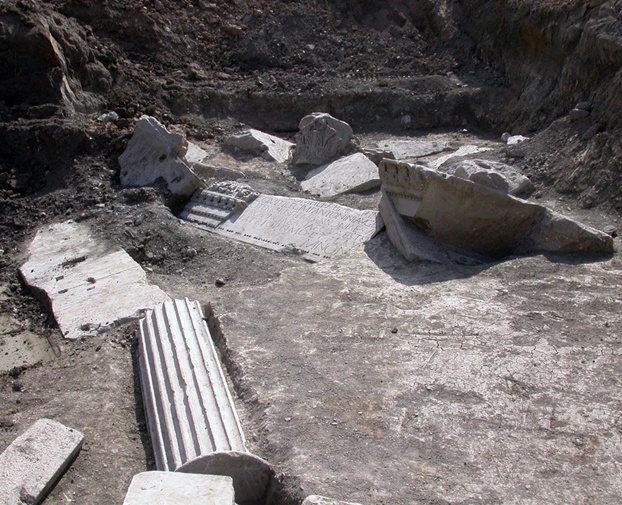 Rome's officials had planned to fully reconstruct the monumental tomb as the centerpiece of a new archaeological park, but the project failed due to a tight budget and a lack of private sponsors. "It is a painful choice, but we cannot risk losing the monument. The marbles can't face another winter, we must bury the site in order to preserve it," Mariarosaria Barbera, Rome's archaeological superintendent, told the daily La Repubblica. Born in Brescia in northern Italy in 138 A.D., Macrinus was one of Marcus Aurelius's favorite men. His life is believed to have inspired the fictional character Maximus Decimus Meridius in Ridley Scott's film. In the movie, Meridus is also a general and a favorite of Marcus Aurelius, but this is where the similarities end. While Meridius fell from grace after the emperor's death and ended up in exile in North Africa only to return as a gladiator and take revenge, the real Roman general remained a rich and famous man until the end of his days. Ironically, a lack of money has so far prevented his tomb from being restored in its full glory. "In the next coming days the monumental tomb will be filled in, but we hope this is just a temporary measure. We have not given up yet. We still believe in the project of the via Flaminia archaeological park," Barbera said. Photo: Top: Russell Crowe in "Gladiator" Credit: DreamWorks/Universal Pictures. Middle and bottom: Marble columns, carvings and friezes belonging to the monumental tomb of Marcus Nonius Macrinus. Credit: Archivio fotografico Soprintendenza speciale beni archeologici di Roma.